Our Standard rooms with the usual comforts are on the 1st and 2nd floors: WC / shower or WC / bath, digital TV / radio and WLAN. Quietly located, some with views to mountains and garden. Non-smoking rooms, safety deposit box, hairdryer. 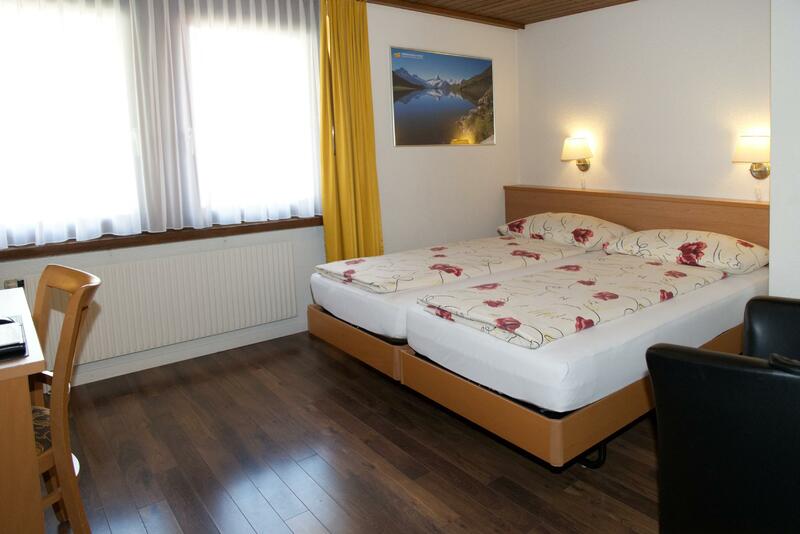 If cancelled from 365 to 11 days before arrival, The guest will be charged 15.00 CHF. If cancelled from 11 to 7 days before arrival, the guest will be charged 25% of the reservation amount. If cancelled from 7 to 3 days before arrival, the guest will be charged 50% of the reservation amount. If cancelled from 3 days to before arrival, the guest will be charged 75% of the reservation amount. Low Season: From 16.10. -- 30.04.
if you cancel your reservation 3 days before your Arrival date, costs of CHF 15.-- are applicable per room. In case of late cancellation or no-show your credit card will be charged with the first night. High Season: From 01.05. -- 15.10. We recommend completion of a travel insurance. 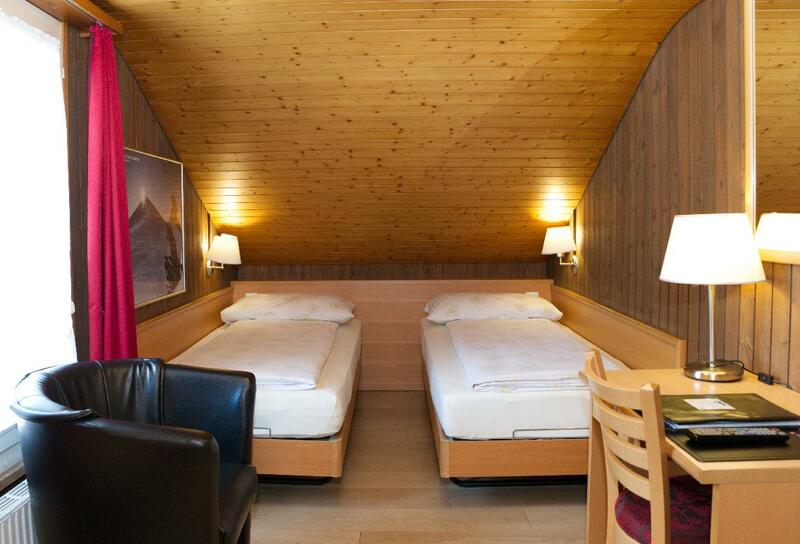 Smaller rustic budget rooms on attic floor with washbasin, cable TV / radio, WLAN and two showers with WCs on same floor. Small but select! (3rd floor = attic rooms with sloping ceiling). Non-smoking rooms, safety deposit box, hairdryer. Our Standard Plus rooms on the 1st and 2nd floors have a WC and shower or bath and private balcony ? for all-round comfort! 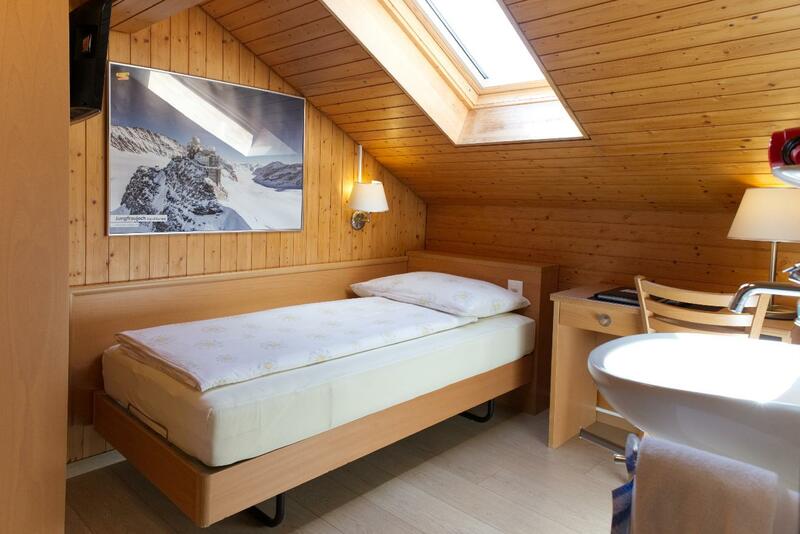 Modern furniture & fittings, stylish pictures, digital TV / radio and WLAN to satisfy every wish; ideal for a stay in the beautiful Bernese Oberland, whether on business or pleasure! Non-smoking rooms, safety deposit box, hairdryer.